This instrument, used to detach soft tissues, features two work sides. 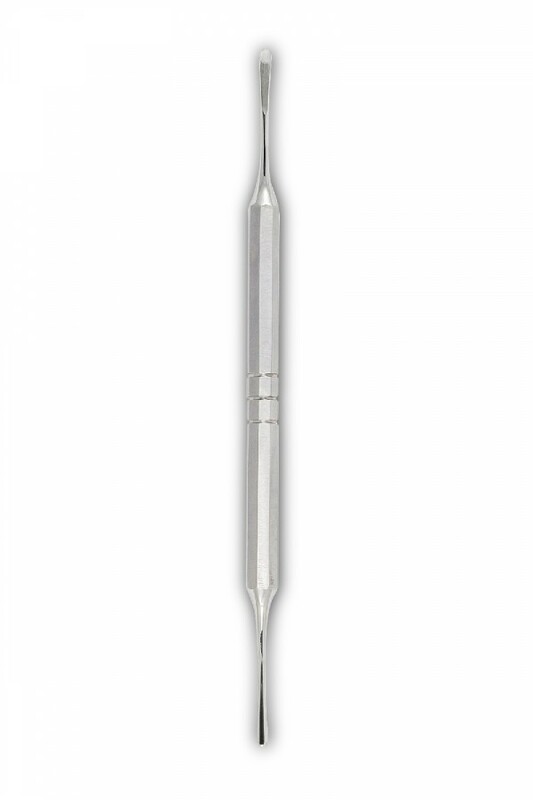 The first, in line with the handle, is recommended for working at the level of interproximal areas. The second, slightly arched, is recommended for working in correspondence with the vestibular and lingual surfaces of the teeth.